I apologize for the information blackout but I’ve been terribly busy with the day job for the past couple of months pulling together a corporate TEDx talk (and I think that’s all I should say since it’s internal-only, per our license). It’s the first time we’ve done this sort of thing and certainly the first time that I’ve headed up something like it. That said, the event went well and I’m now wrapping things up. Now that I’ve taken a few moments to rest, I should have more energy to devote to this documentary project again. I’m building a website that will have all kinds of information on everything to do with the project including a bibliography, links to information for the media and other educational information. I’m still working on it and will announce once things are further along. If there’s information you’d like to see on it, I’ll do my best to provide it. I’m about to buy my first high-definition video camera. I hope to eventually have two cameras. Right now, I need a “starter” camera to get things going and hope to get a higher-end camera after my fundraising is complete. A lighting kit arrived a couple of weeks ago but haven’t even been able to play with it yet. 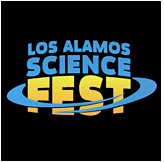 I’ll have a booth at the upcoming Los Alamos Science Festival in September. I don’t see my activity listed yet but I’m going to demonstrate the superiority of the metric system over customary units in the kitchen with materials and scales. We don’t really use scales in the kitchen in this country since we don’t use the metric system. I think this is a hurdle we’re going to have to overcome and have felt that way ever since I chatted with the a retired, female scientist who told me she never used the metric system when she cooks though she used it every working day of her life. In conjunction with the above, I plan to make my first videos with it on how to use the metric system in the kitchen. This will help segue me back into video production. I’m hoping to make them fun and interesting and should be able to leverage them for my eventual fundraising video if not for other things. Contacts, contacts, contacts. This project is never going to get off the ground without the right people involved. Fortunately, more and more people are interested and want to help so it’s more about finding the time to do those sorts of things in the right way. Speaking of contacts, I’ve meant to pull together a mailing list for some time but haven’t gotten around to it. I think I’ll move that toward the top of my list of things to do since its size will eventually help me determine whether I’ve gotten critical mass to do some fundraising. The mailing list folks will get shorter, behind-the-scenes news about the project. If interested in joining, subscribe by sending an email to milebehind@gmail.com. Other musings…I’ve thought about holding a metric adoption conference call or even meeting (no idea when the last time such a thing happened in this country…Roughly 30 years ago?) That’s going to take some planning to figure out how to best make such a thing happen but it will need to be done at some point. If you are interested in this type of activity, shoot me an email. I did take three days of vacation in June and went to see my daughter while Jamie Cullum was playing in town. We had a great time! More on the above shortly. The next column will be about our clinging to our units as some strange nod to our British history.